Rudy Robbins - Rudy Robbins grew up in Port Arthur, TX, graduating from Thomas Jefferson High in 1952. After attending Lamar Technical Institute and East Texas Baptist College he graduated in 1956. Robbins achieved success as a western entertainer in film, television, Wild West shows, music and literature. His career began when John Wayne cast him in the epic movie The Alamo and he went on to work as an actor/stuntman in such films as Two Rode Together, Cheyenne Autumn, The Rounders, The Green Berets, Rio Lobo and Sugarland Express. Joining the likes of John Wayne, Charlton Heston and Clint Eastwood, he was awarded an Honorary Membership in The Stuntmen's Association of Motion Pictures. Robbins also trained horses for other stuntmen and became a production manager for various shows. In 1967, he was selected by the U.S. Department of Commerce to go to Europe as a Cowboy Goodwill Ambassador to introduce and promote the sale of blue jeans. Later Robbins joined with Montie Montana, Jr. to re-create Buffalo Bill's Wild West Show. With a cast of 125 cowboys, cowgirls and Indians and 135 buffalo, longhorns and horses the show toured worldwide. 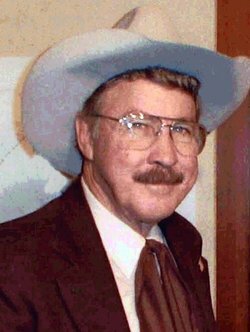 Back in Texas, Robbins produced the Rudy Robbins Western Show and The All American Cowboy Get-Together, a two-day event of cowboy music, poetry, cooking, arts, crafts and demonstrations. He also formed the Spirit of Texas, a western harmony group, which, in 1991, was named the "Official Cowboy Band for Texas" by the State Senate. In addition to singing, Robbins has written many songs as well as short stories for Cowboy Magazine. With so many high level accomplishments in the field of western entertainment, Rudy Robbins is truly an all-around Cowboy Showman.